One ultimate life goal and milestone in life to look forward to is being your sisters or best friends bridesmaid. Hail the responsibility because oh dear it is huge but exciting! We always turn to the world wide web to read articles, blog posts and watch videos because ultimately you want to look the best of the best! 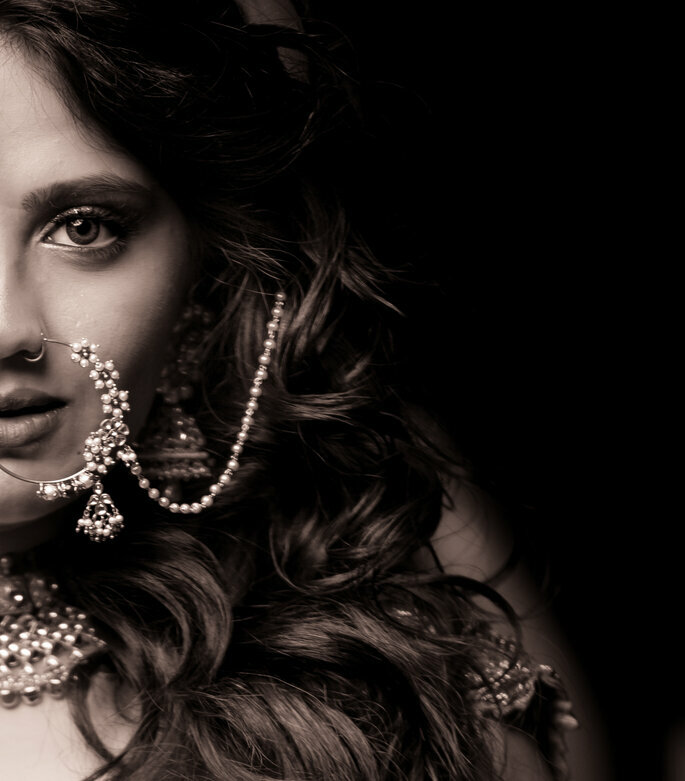 so here, we have collated some ideas to inspire you to be the best dressed bridesmaid of 2018, followed by a disclosure of a range of the latest bridesmaid looks, hints and tips for this season by expert makeup artist Priyanka Arora. First thing is first – Outfit choice. The priority when selecting your outfit is how comfortable it is on your body. Does it hug your figure, drape from your shoulders or squeeze your insides? You need to consider these factors because ultimately you want to not only look good but feel good aswell! Lehenga sets, sharara suits and crop top sets are the popular choices for Indian wedding bridesmaid dresses. 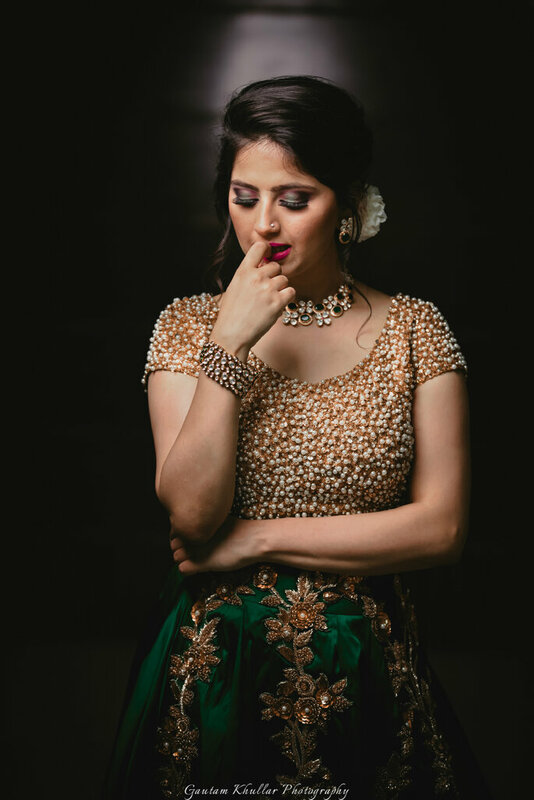 According to our expert Priyanka Arora, a bridesmaid should wear something ‘modern yet elegant and classy’, which they can have from Manish Arora and Anushree Reddy. They can choose different types of silhouettes with classy cuts such as the off-shoulder trend. Proven to be a popular street-style outfit which has now even made it to the bridal world! 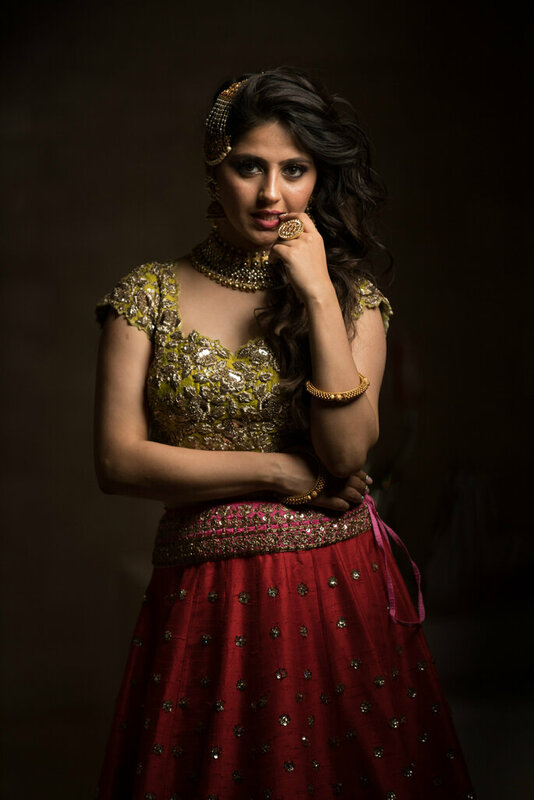 Priyanka Arora further notes that cropped skirts with a crop top is one of her favorites for a Mehndi function. Digital prints in geometric, abstract and floral embroideries and patterns are the latest trends. A top tip, ‘don’t forget to try AZA outfit range in blush by Gazal Gupta’. Moreover, running around for small errands in comfortable shoes for a bridesmaid can be such a relief. Wedge heels make things perfect in terms of exaggerating the height and giving comfort. If you are still a pencil girl, walk in those heels many times before you actually wear it on the final day. Second thing to consider to ensure you bridesmaids are looking stunning is jewellery. This is basically the cherry on top of the cake. You can go bold and blingy or simple and elegant. You can even invest in a Mathapatti or a Nath to really spice things up. Try-out different types of Nath’s considering their different sizes and patterns for your look. If you are going for heavy Mathapatti or Nath, go subtle with your neck piece. Playing around with different chokers can also be considered. One stop shop for all the kind of jewelry is Raabta Jewels by Rahul Luthra. They have really unique and offer trendy styles. Third factor to consider is your Makeup – eyes in particular! Eyes for some are the jaw dropping features on the face, so you want to make them stand out and pop. You can do this by sporting a subtle eye look with a bold lip or alternatively, bold eyes with subtle lip. You want something trendy, with profound vigor that emminates great magnetism and beauty. Look at a range of makeup looks to ensure you find the glamor you are looking for to make it just about perfect for the D-DAY. 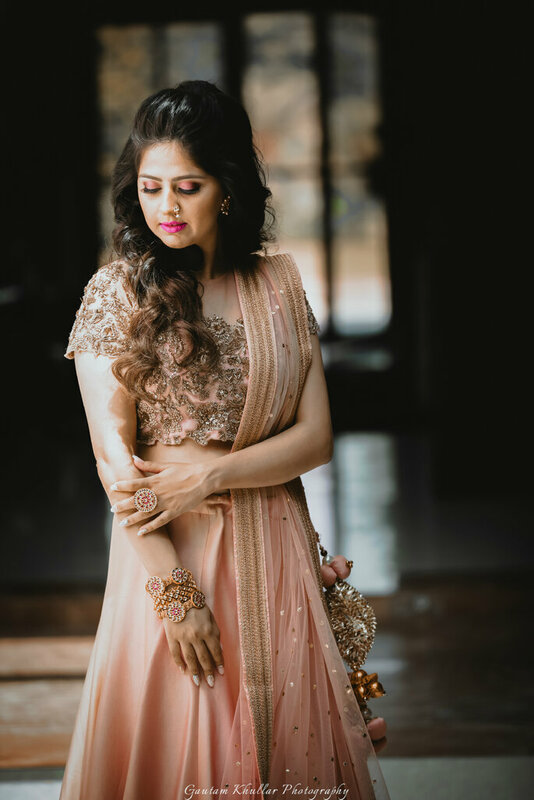 It goes without saying “A happy bridesmaid, makes a happy bride” So, go toss your bold look with your eye makeup and explore as many colors as you can. One color that is going to be sparkling out this season is the color blue. Try out different looks for all functions such as smokey, glittery and matte eyes. Add a little drama to your face by using eyelashes to complete the look. As the drama people enjoy these days are your lashes. Finally, the face. Make sure that you are using a good foundation and it is well blended. If you are going for a party that is going to last for a whole day, use a very light weight foundation or mousse, however, make sure that the makeup doesn’t look cakey. Remember, to pull off the flawless look “Less is more” and your skin is going to look spot on if you are going to blend it well. Blending is your best friend ladies, it is key to ensure a flawless face. Glow for it, gorgeous! Contour and strobe your pretty features using a good highlighter and contour. Below the beautiful moments are captured by Gautam Khullar Photography. Remember these magical tips to ensure you are good to go! Also, there’s no better makeup than confidence. At the end of the day all women are goddesses, makeup is just their to enhance your beauty!